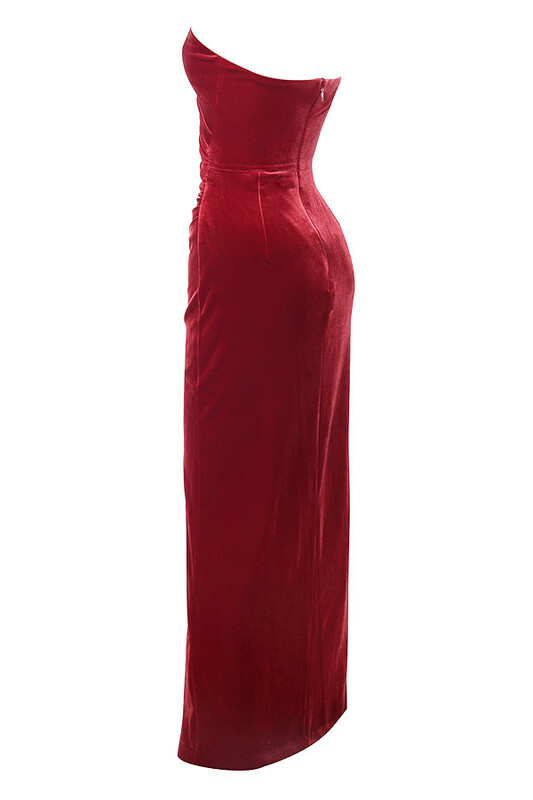 This goddess dress is simple breathtaking. 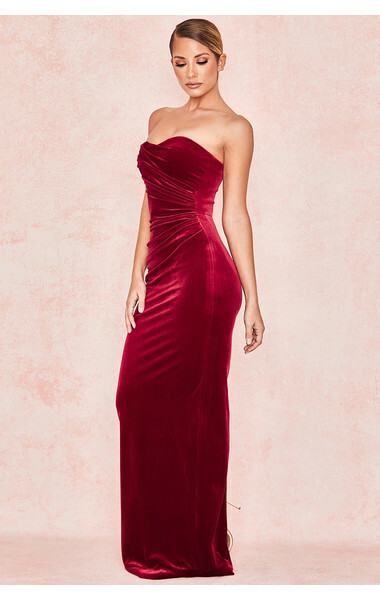 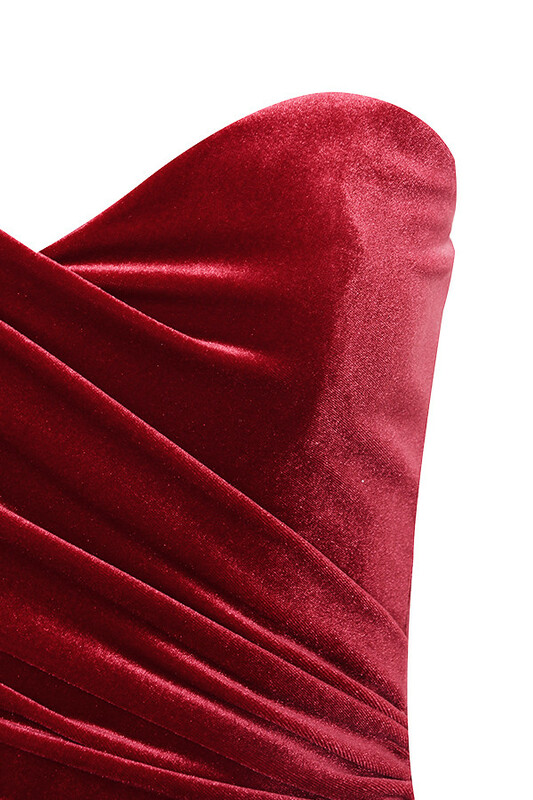 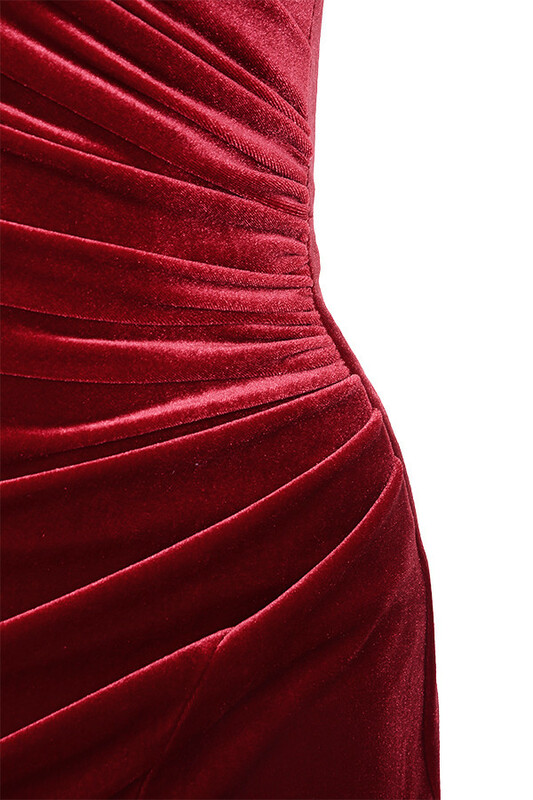 Cut from an ultra luxe plush velvet, 'Rehana' has a strapless cut with a boned bodice for support with ruching and gathers to the waist to really nip that waistline and to create a perfect hourglass effect. 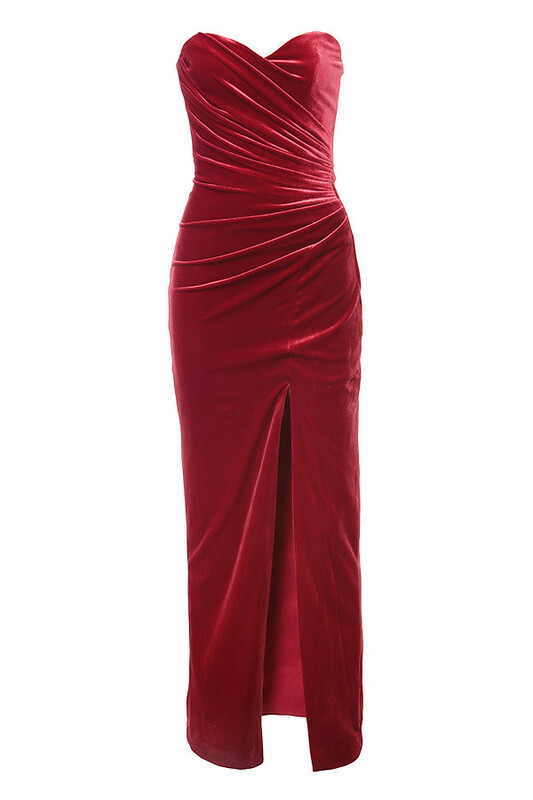 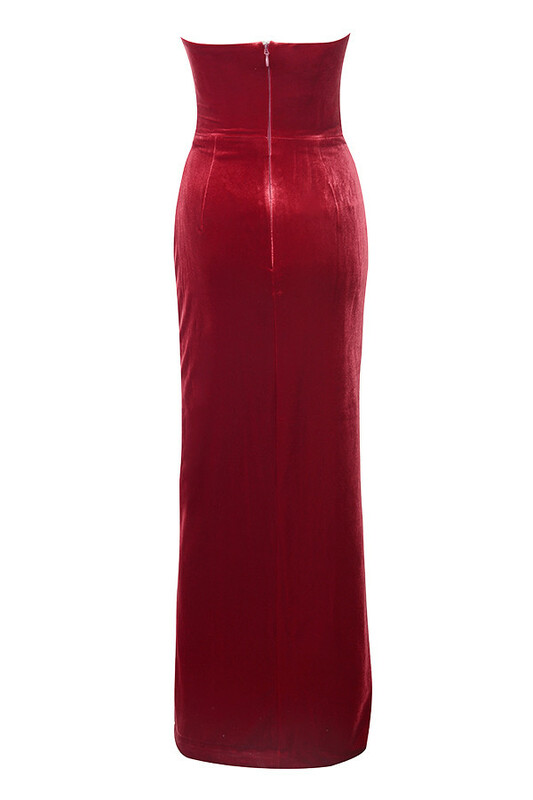 The floor length cut is super dramatic and we love this teamed with barely there sandals.